Piano Keyboards Guide: Acoustic, Digital or Electronic Piano? Choosing an Acoustic, Digital or Electronic Piano? 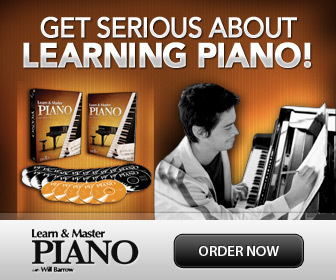 Before you can start lessons, you need a piano. Piano keyboards come in many styles, but it can be hard for a beginner to know what is the best instrument. 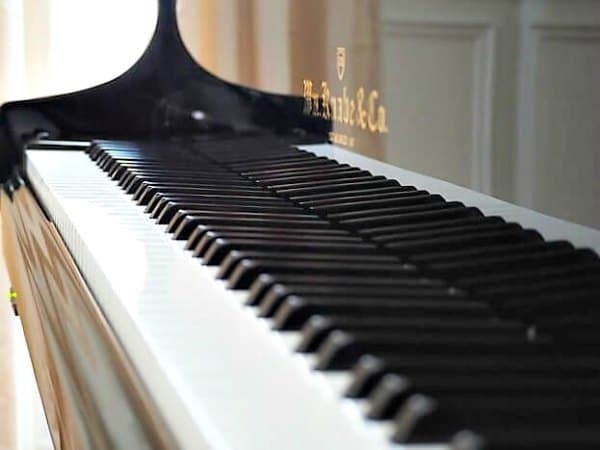 Here is a guide to help you find the best instrument for you, and what type of piano accessories you need for a great start. An Acoustic Grand Piano Perhaps? What Are The Best Piano Keyboards For Beginners? The answer to this is the best quality of the type of instrument you prefer. If an electrical instrument is what you want, buy the best you can afford. Make sure it has pedals, and a full sized, touch sensitive and weighted 88-key keyboard. If you would like an acoustic piano, check out second hand uprights. You can find really great second hand instruments! But it's a good idea to bring a pianist or technician along to help you try out the instrument. Would you need an acoustic or an digital piano? An electronic or a digital keyboard? An acoustic upright or a baby grand ? Do I need a lighter instrument that is easily movable, or will I keep it only in one place? An acoustic piano is heavy. A digital is lighter. 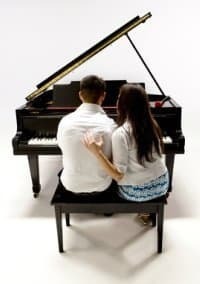 Do I live in an extremely humid or dry climate, where having an acoustic piano would mean a lot of extra tuning and maintenance? Do I want the quality and incomparable feel of a "real" acoustic piano, or do I prefer having a keyboard or a digital piano that I can connect to my computer? I have written more tips here: How to Buy Piano- Your Piano Buying Guide. These instruments are portable, normally budget friendly and have lots of fun sounds and effects to play around with. Electronic keyboards are generally not great for classical style pianists, but there are some good alternatives. Digital pianos, (or electric keyboards) are serious competitors to acoustic upright or grand piano keyboards. The sound and touch is excellent, and no maintenance is required. Many models are also somewhat portable. A digital piano is not the same as an acoustic in feel, neither in key-weight or "touch". But still, a digital piano is a budget friendly instrument and a great alternative for keeping in a place with less than ideal temperature or humidity/dryness. An acoustic piano is an investment for the serious pianist. A small upright needs little space and comes in many brands and models. An upright is too heavy to move around, and needs regular care, maintenance and tuning for a long life. There are many different prices and brands available. You could also consider buying second hand. A grand piano is for the serious pianist who wants to get the best. A grand needs a larger room though, and is not an instrument to be tucked away in a corner, but to be proudly displayed! Many different prices and brands are available, and second hand can be a brilliant choice. The best of two worlds, an acoustic and digital instrument in one. Costly- of course, but what an instrument! Even though a good instrument is the most important, there are a few basic accessories that are important for best playing results. Absolutely essential for comfortable playing is a great piano bench. The more comfort, the more you will want to practice! The absolute best is an adjustable bench, especially if it's padded, that you can put at exactly the right height. As a good bench will help you to sit with the best posture when playing, it will also facilitate balance and coordination. Read more about the piano bench here. Good lighting made for piano keyboards is also very important when playing and practicing. Make sure your lighting is adequate and does not cast any shadows on the keyboard. It is also important that you can easily read the notes in front of you (without squinting or craning your neck)- it is amazing what great lighting can do to ease tension! 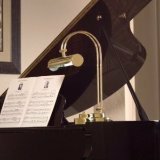 Check out recommended piano lamps here. A handy and very useful little gadget that every serious piano player need is a quality metronome. There are many different types available, and in many price ranges. 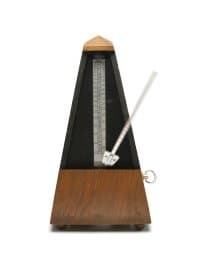 Learn about my recommended metronomes and how to practice with a metronome for great results here: How to use a metronome.